Thee U.S. Army recently introduced the ACU-A, which is an alternative to the standard ACU offering a bet fit for women as well as select male soldiers that didn't find standard sizing to meet their body's dimensions. 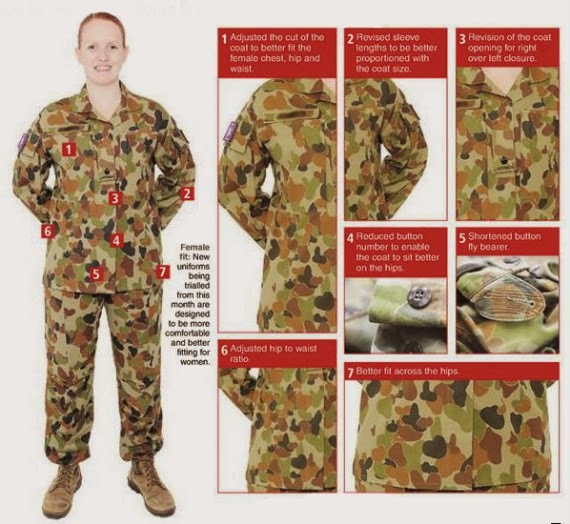 The ADF has not released information for their own DPCU for women which will key in on specific design changes to better fit the shape of the female figure. As with the Army Combat Uniform Alternate, the new DPCU will be available to all members of the ADF.